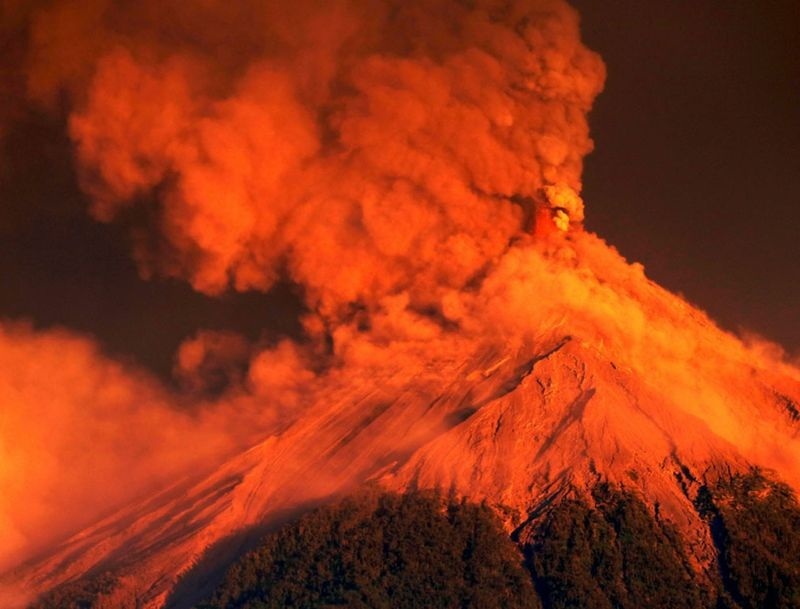 Nearly 4,000 residents fled Guatemala’s Volcano of Fire as red-hot rock and ash spewed into the sky and cascaded down the slopes toward an area devastated by a deadly eruption earlier this year. Incandescent material burst as high as 1,000 metres above the crater and flows of hot rock and ash extended nearly three kilimetres down one flank of the volcano. Hot blasts of pyroclastic material pushed down canyons on the slopes, while a column of ash rose nearly 7,000 metres above sea level and drifted toward Guatemala City to the east. The Volcano of Fire is one of the most active in Central America and an eruption in June killed 194 people. Another 234 are officially missing, although organisations supporting the communities have insisted there are thousands of missing persons.